Serious carnivores will go to the ends of the earth to seek out a perfectly marbled, expertly seared steak. And so, it seems, will we. We've visited the best butchers in France, reacquainted ourselves with the idea that everything (steaks included) is bigger in Texas, eaten at celebrated parrillas of Argentina, and enjoyed the elegant ambiance of metropolitan steakhouses. We've tried dry-aged and wet-aged, beef from corn-fed cattle in the U.S., and grass-fed pure-bred organic cattle raised on small farms in Europe. 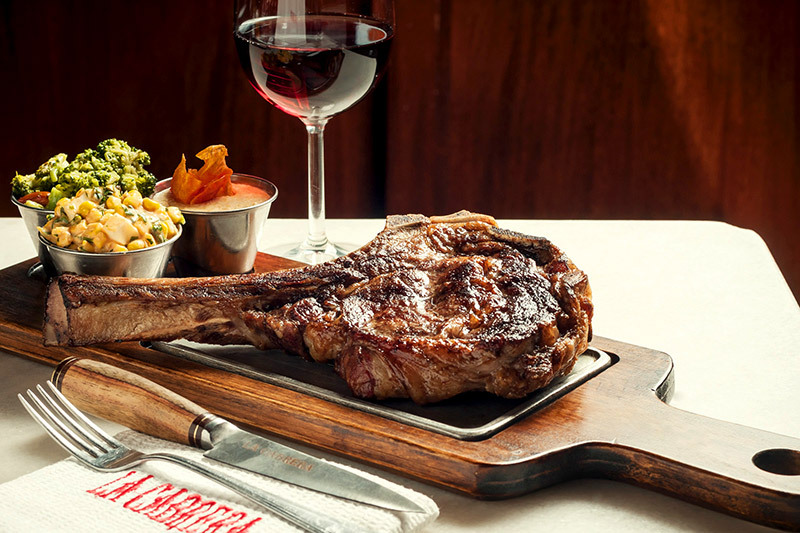 The cuts may vary from country to country, but these 11 steakhouses — our favorites in the world — all have one thing in common: They are uncommonly superb. Chicago has no shortage of fine steakhouses, but the candlelit atmosphere of Bavette’s makes it far more appropriate for couples than for businessmen. We had a wonderfully decadent dinner of cognac-infused foie gras with a tart blackberry compote, garlicky shrimp de Jonghe, tender lamb T-bone with rosemary and garlic, and flawless filet mignon with savory roasted tomatoes and spicy watercress. A few other Chicago steakhouses serve comparable or perhaps even better beef, but none is as romantic as Bavette’s. 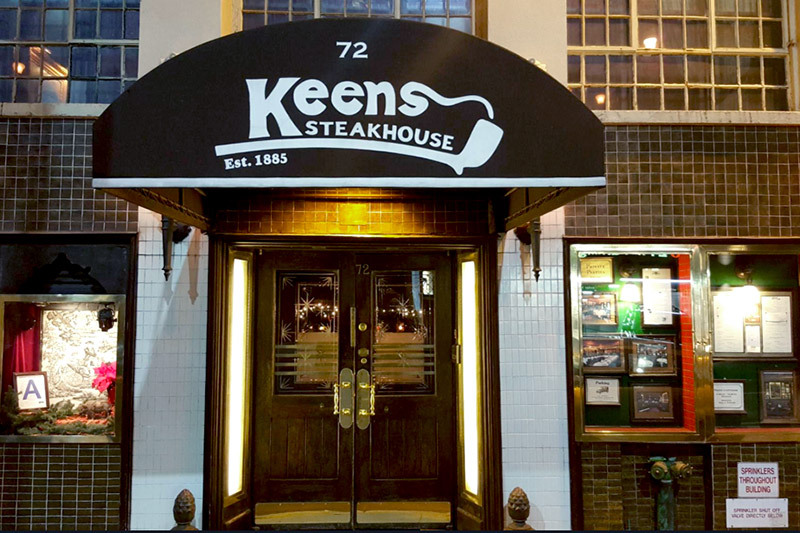 Founded in 1885, Keens is one of the most genuinely atmospheric restaurants in Manhattan, with dark paneled walls and a ceiling festooned with rows of clay churchwarden pipes including those that belonged to luminaries such as Teddy Roosevelt, J.P. Morgan and Gen. Douglas MacArthur. The menu is a carnivore’s delight, with steaks and chops of all varieties, favorites being the New York sirloin and the famous mutton chop, which is rich and flavorful. Bodega El Capricho in the village of Jiménez de Jamuz, an hour southwest of León, is one of Europe’s cult destinations for carnivores. Chef José Gordón serves only beef from breeds that are indigenous to the Iberian peninsula, notably the rubia Gallega (Galician blond). He ages the meat himself and prefers meat from older animals because the marbling is more elegant and consistent. 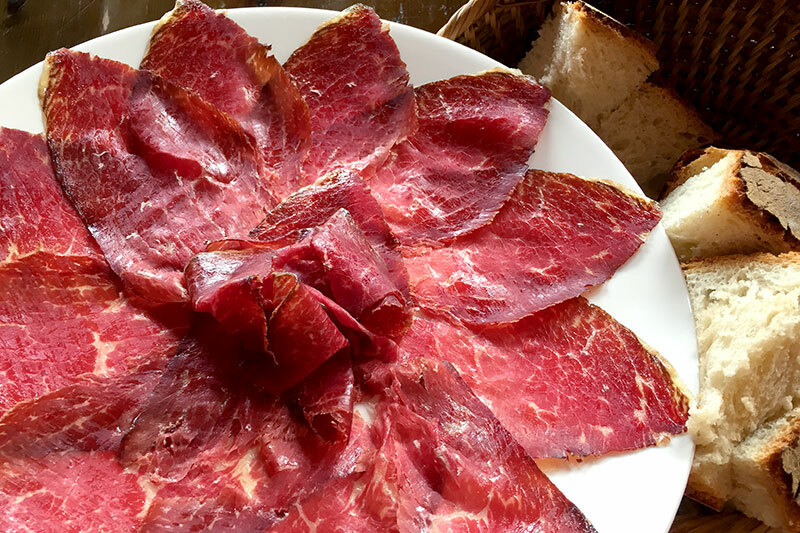 Served at bare wooden tables in a candlelit former wine cellar, Gordón’s fire-roasted beef is stunningly good. And there’s a superb supporting list of reasonably priced local reds, like Bierzo, to accompany it. 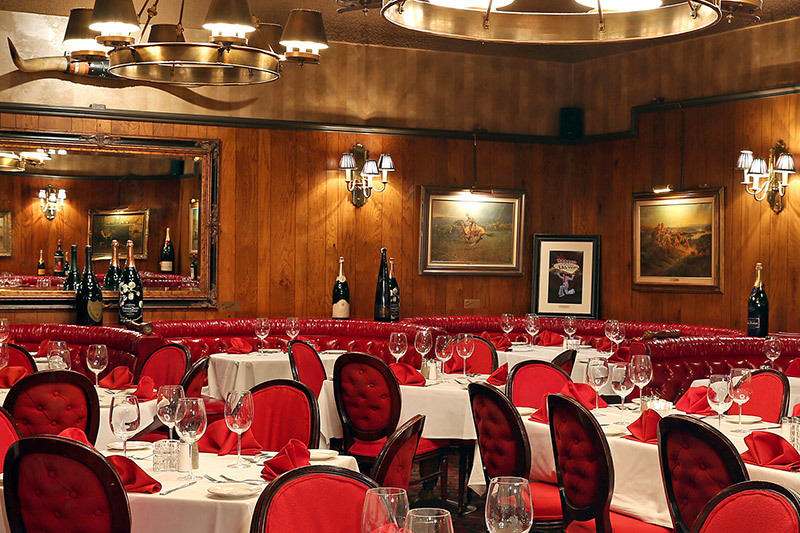 In a city that loves steak, The Golden Steer has been a favorite since it opened in 1958. And it is becoming harder to get in as the neighborhood around it changes for the better. The interior remains as it has been with dark wood paneling, red leather banquettes and Western art. The staff, in full tuxedo, have been here for most of their careers (no doubt some having served Sinatra and his Rat Pack pals) and know how to serve the big steaks and the classic starters and sides. London’s first Hawksmoor steak restaurant, Spitalfields, opened in 2006. The name was derived from the nearby Christ Church Spitalfields, designed by the great English baroque architect Nicholas Hawksmoor. The brainchild of Will Beckett and Huw Gott, Spitalfields served only the finest native beef, chiefly that from British longhorn cattle raised on a remote farm near Wykeham in North Yorkshire. The venture was so successful that 10 years later, there are now Hawksmoor restaurants in Covent Garden, Piccadilly, Knightsbridge and, our favorite, near Guildhall, at the heart of The City financial district. 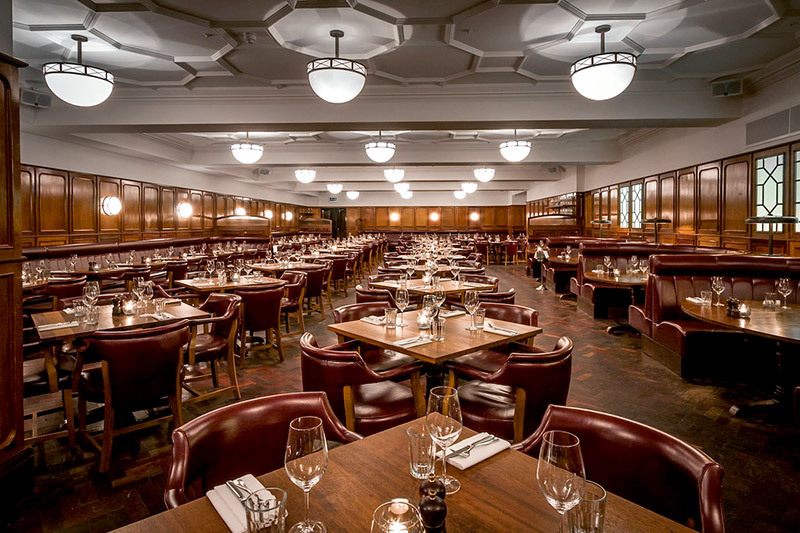 Hawksmoor Guildhall is an atmospheric, masculine, wood-paneled space, with burgundy leather chairs and banquettes. All the streaks are dry-aged for a minimum of 35 days and cooked on a charcoal grill. Opt for the classic porterhouse — a large T-bone — and be sure not to stint on the anchovy hollandaise. At the end of 2017, Hawksmoor New York will open in Tower 3 of the World Trade Center, in a 14,000-foot space designed by the British architect Richard Rogers. 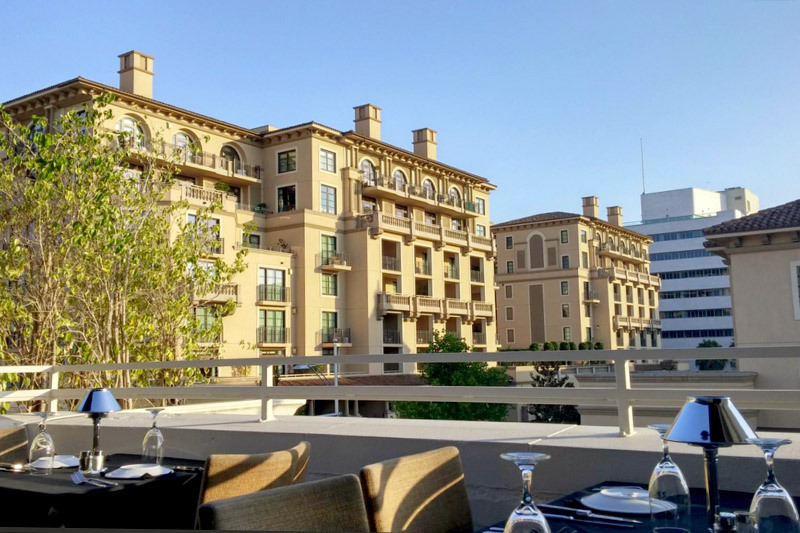 The options are many at this Beverly Hills mainstay: You might opt for the first-floor dining room, the livelier second floor with its nightly piano bar or the top-level indoor-outdoor penthouse. 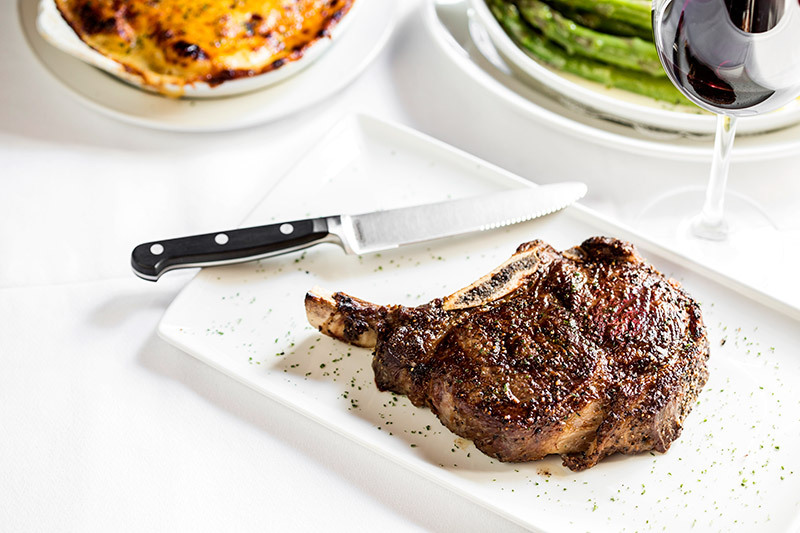 Regardless, you will enjoy the superb steaks (a particular favorite is the rib-eye chop), starters (including a very good rendition of oysters Rockefeller) and fine sides (the creamed spinach being notably good). The portions are Flintstonian. Bone-in prime rib-eye steak at Pappas Bros.
No list of the best steakhouses in the world would be complete without including a steakhouse in Texas. And as any true Texan would tell you, the gold standard for steak in the Lone Star State — and possibly the nation — is Pappas Bros. Since opening in 1995, this family-owned establishment has become a landmark, and for good reason. Buying from a single supplier in the Midwest, Pappas Bros. dry-ages corn-fed USDA prime in-house for at least 28 days, making it sweet and nutty. 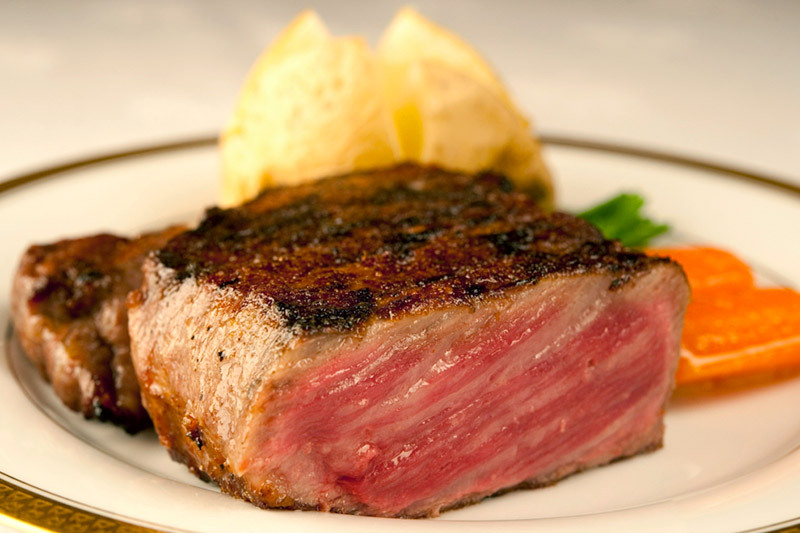 Each restaurant (along with the original, there is another in Houston and one in Dallas) employs two full-time butchers on-site, which allows them to offer a cut that not all steakhouses can: a mouthwatering bone-in filet. Take a seat at the chef’s counter and experience it for yourself. The people of Buenos Aires love this typical parrilla. Tucked away in the Palermo Viejo neighborhood, it has a comfortable, low-key atmosphere with dark wood, exposed brick and a congenial (if noisy) bar. Start with the arugula salad, then go for the bone-in sirloin. Try it well done, which in Argentina means slightly charred on the outside, pink in the center. And if you want to stick with tradition, order an indulgent flan for dessert. 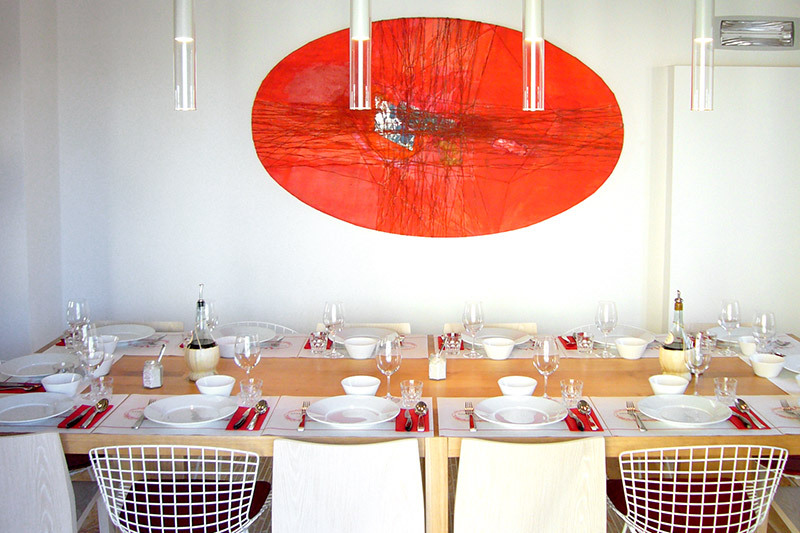 The wine list is extensive and the service friendly and unhurried. I’m not going to tell you this is the most beautiful or visually arresting steakhouse on the list. It’s not. The interior is remarkably plain. But that’s not the point. The meat is everything here. The beef is raised for 28 months and cooked in a special oven in what is said to be a 10-step process. 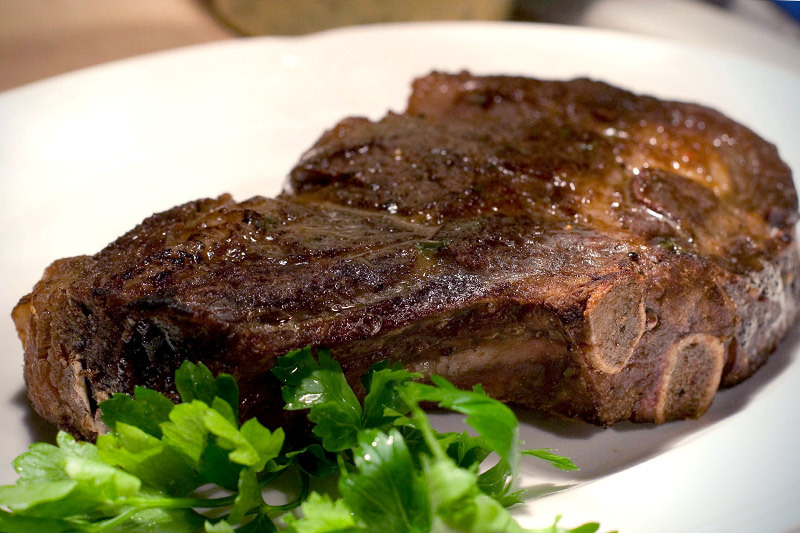 The end result is one of the most compelling, flavorful pieces of steak you will ever enjoy. 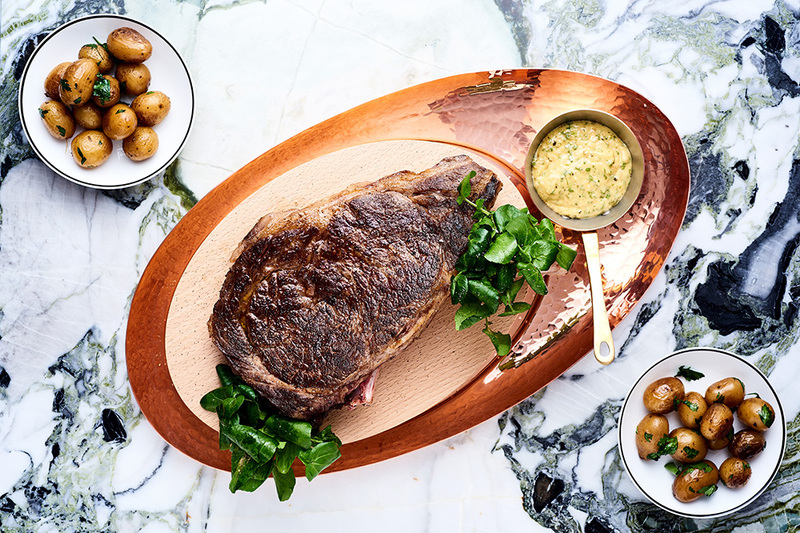 Parisians have always been serious carnivores, keen to sink their teeth into a nice cote de boeuf, or one of the rib steaks they favor, as a celebratory or self-indulgent meal. Recently, however, a new connoisseurship has upended Gallic beef mores. Chef Jean-Francois Piege’s lively, recently opened grill restaurant in Les Halles, the French capital’s old market district, caters to a new demand for what the chef describes as “meat of real character and exceptional quality.” What this means is beef like a sirloin of Noire de la Baltique — which is raised in Germany and aged over beechwood shavings in an old brick warehouse in Hamburg, a finishing that explains it mineral rich, slightly saline taste — and Black Market beef from Australia, served here as a lush tasting entrecôte. Other types and provenances of beef on offer include Bavarian (Simmenthal), Black Angus from Kansas and Génisse de Boeuf (from heifers that have not yet calved) from the Limousin, Auvergne (Salers) and Charolais. You also choose from four different sauces, served on the side, for your meat: black Sarawak pepper; béarnaise; Bercy (red wine with bone marrow and shallots); and an intriguing brew of macerated black currants and blackberries, which just may be the world’s best steak sauce. Butcher Dario Cecchini may be located in the pretty Tuscan village of Panzano in the heart of the Chianti wine region, but he’s won an international reputation for the spectacular quality of the bistecca (steaks) he serves at this hugely popular restaurant, one of three he runs in the same village next to his butcher shop. Cecchini, the eighth generation of his family to practice the trade of butcher, is best-known for his bone-in rib-eye steaks and Florentine-style T-bone steaks, which are carefully aged from both Italian Chianina beef and organic beef that Cecchini imports from a farm in Catalonia, Spain. Of all of Cecchini’s restaurants (Dario DOC and Officina della Bistecca), the surprisingly good-value 50 Euro prix-menu at Solociccia offers the best way of sampling his wares. Not only does it include a superb bistecca Fiorentina T-bone, but it begins with beef muzzle in broth and continues with spicy meat ragu on toast, garbanzo and white beans, boiled-beef-and-vegetable salad and a variety of other dishes before a dessert of olive oil cake and a final tot of pleasantly potent grappa. This meal includes wine, but you’re also allowed to bring your own bottle with no corkage fee, which means that you can consume one of the great bottles of Chianti you may have bought while wine tasting on a local estate.